4 Didn’t We Meet on LinkedIn? "Once upon a time, corporations were business enterprises which we were supposed to pretend, through a quaint legal fiction, were people. Nowadays it's rapidly becoming the other way around; people are being pressured to imagine themselves as business enterprises. In this beautifully written volume, Ilana Gershon explores the subtle violence that ensues when, in order to get a job, you have to apply branding and marketing techniques to your own personality, and reconfigure your very sense of being in the world as a result. In doing so, she reminds us, more than any other book I've read in recent years, of the power of anthropology not only to expose the hidden workings of our everyday common sense, but also to show how strange and arbitrary they really are, in a way that can make us rethink almost everything we take for granted." "A fascinating, hands-on account of what's really required to get hired today." 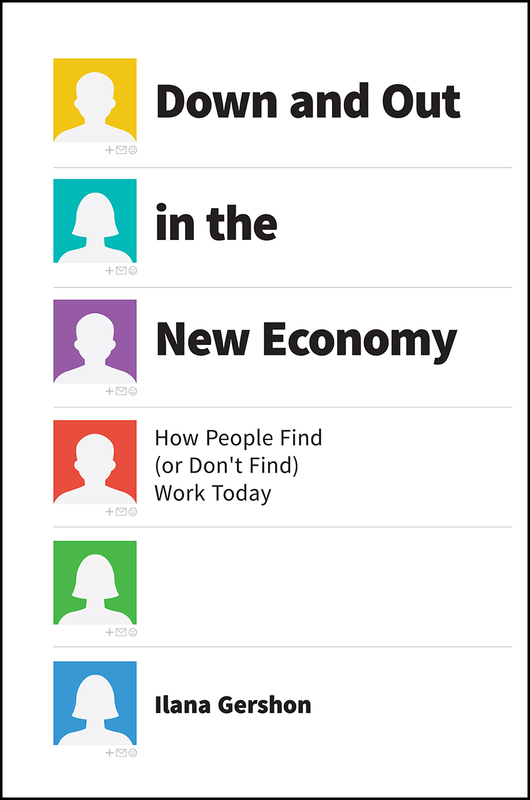 "Ilana Gershon vividly illuminates how workers have become 'brands' or 'businesses' in the new economy. Sounds liberating, but beware. As Gershon shows with numerous examples, the gain of the 'personal brand' may entail the loss of the person. And the gain of the 'personal business' may entail the loss of loyalty, security, and connection. This is a cautionary tale for all job seekers and the people who hire them." "Gershon's unique insights redefine employees as a personal business with their own brand. Her work offers incredible tips for those being hired, including personal branding, preparing a unique (and generic) social media (e.g., LinkedIn) presence, demonstrating value to the employer, building a personal network of informed colleagues, working with recruiters and technology sites, and knowing when and how to move on. It also offers insights on how to do the recruiting as a line or HR manager. This is a creative, well researched, and useful book for those who want to be hired and for those doing the hiring."